Before black metal—dramatic, slightly scary bands with the word Mayhem or Enslaved in their name—there was “black” metal—hot iron forged into spoons and horseshoes by the village badass. This month, black-metal purists can pound some iron at Naper Settlement, a historic outdoor museum village in the west ’burbs. 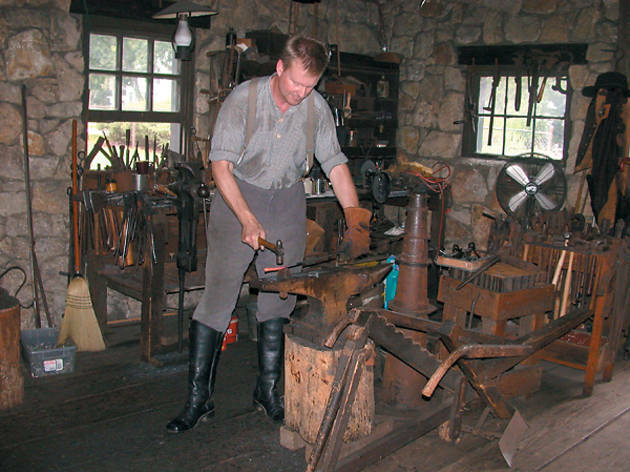 Blacksmith 101 serves as an introduction to the craft and teaches students the history of blacksmithing, safety, how to use tools and choose a forging method. An advanced class, Blacksmith 102, caters to more experienced forgers. Despite blacksmithing’s beefcake history, Naper Settlement welcomes ladies into its shop. “We’re playing with fire and pounding on stuff, so it doesn’t get much better than that,” says museum educator and class instructor Ernie Klapmeier. The class meets three consecutive Saturday mornings, and students can expect to complete a basic project such as a spice hook, an old-fashioned contraption that hangs spices for drying. Blacksmithing graduates can also volunteer in the shop, where public tours pass through to see what life was like before Home Depot. Volunteering allows amped metal molders more time to exercise their creative license. “I encourage all of the blacksmith volunteers to expand what they can do. If they come up with a new idea, we talk about it and they can figure out how to make it,” Klapmeier says. Pirate hook? Check. Naper Settlement (523 S Webster St, Naperville; 630-420-6010). 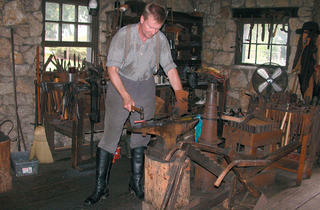 On Saturday 10, April 17 and 24, Blacksmith 101 meets 8–10am; Blacksmith 102 meets 10am–noon. Must be 18 or older. $150 for three-class series.